Western Railway conducted regular checks during April, 2017 where in near about 2.60 lakh cases of ticketless/irregular travel including unbooked luggage cases were detected, resulting in recovery of Rs.12.18 crore which is more than the corresponding month of the last year. During the month, 23 cases of illegal transfer of reserved tickets were detected. Besides, 1035 beggars & unauthorized hawkers etc were apprehended, evicted, fined and more than 149 persons were sent to jail. As stated by Shri Ravinder Bhakar, Chief Public Relations Officer of Western Railway in a press release, 195 checks were conducted during this period, against touts and other anti-social elements by Western Rly’s commercial department. 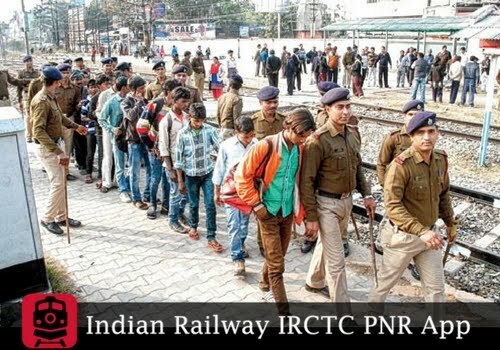 As a result, 111 persons were apprehended and prosecuted and fined under various sections of Railways Act. During the month of April 2017, 110 school children above 12 years of age were detected traveling in ladies compartment of suburban trains and were removed from ladies compartment by Surakshini squad. Western Railway regularly conducts drive against ticketless travellers. In its endeavour to provide better services to its bonafide rail users and also to curb ticketless travelling, WR has regularly been taking necessary steps. Senior Officers are closely monitoring the revenue loss due to ticketless travel and such other irregularities.